The Indian healthcare has diversified in offering medical services, and the use of new medical devices to lead the exponential growth. According to the industry estimates the size of the healthcare sector is expected to grow to Rs 9.64 lakh crore by 2017. 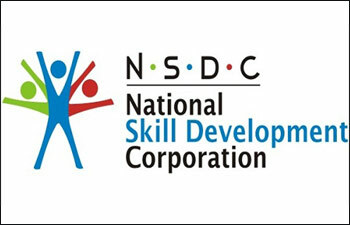 Correspondingly, The National Skill Development Corporation has declared a massive requirement for skilled manpower to sustain the growth, and lead India at the forefront in the rapidly emerging scenario of medical tourism. As well as the urgent need to bridge the gap between the urban and rural healthcare service needs to be addressed. Sustaining this growth will double our manpower requirement from 35.2 lakh at present to 74 lakh by 2022. To throw further light on the present situation, the healthcare spending in India stands at less than 5 per cent of GDP, as compared to other developed countries. The out-of-pocket expenditure comprises about 92 per cent of private expenditure as compared to international average of nearly 50 per cent (PTI). The report also highlights the manpower requirement for allied sectors which constitute of a larger healthcare ecosystem. Consider this; nursing associates, sanitarians, medical assistants, medical equipment operators, optometrists, traditional and faith healers, physiotherapists, dieticians and dental assistants, are still short of the current demand. Currently, around 11 lakh employees in the allied sectors. The report further states that there is a significant gap in the availability of allopathic doctors (6.21 lakh) and it is a trend that is likely to continue into the next five years. “There are over 7,50,000 registered Ayurveda, Yoga, Unani, Siddha and Homoeopathy (AYUSH) practitioners in the country. These numbers, when combined with the total number of physicians trained in allopathy, fulfil, to an extent, the total requirement of medical practitioners required in the country,” it pointed out. According to the report, there are only 356 registered medical education institutions. The total admission capacity is nearly 45,000 students at the undergraduate level and about 24,000 students at the post-graduate level in the country. The report observed that highly urbanised regions, including Delhi NCR, are heavily concentrated with healthcare facilities while rural regions remain underdeveloped. “India has become one of the leading affordable destination for people looking for best medical care at cost much lower than that of developed countries. “We can further leverage our position as a reasonably priced and quality healthcare solution provider, thus catering to a greater proportion of world population. “Hence, there is a need for both qualitative and quantitative skill development initiatives in the healthcare sector. We also need to focus heavily on upgrading technical skills of the workforce for advanced healthcare services,” NSDC MD & CEO Dilip Chenoy said.